Capitol Couture has relaunched today with its first issue for Mockingjay, and the fourth issue overall. 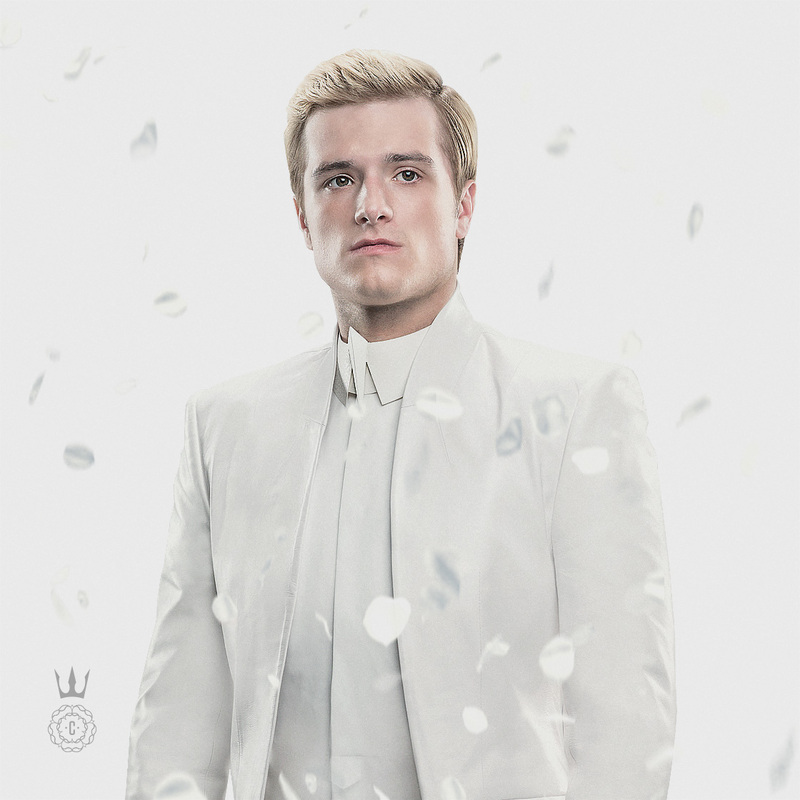 Titled 'Fida Coeur', it brings us new glimpses of Peeta and Johanna. 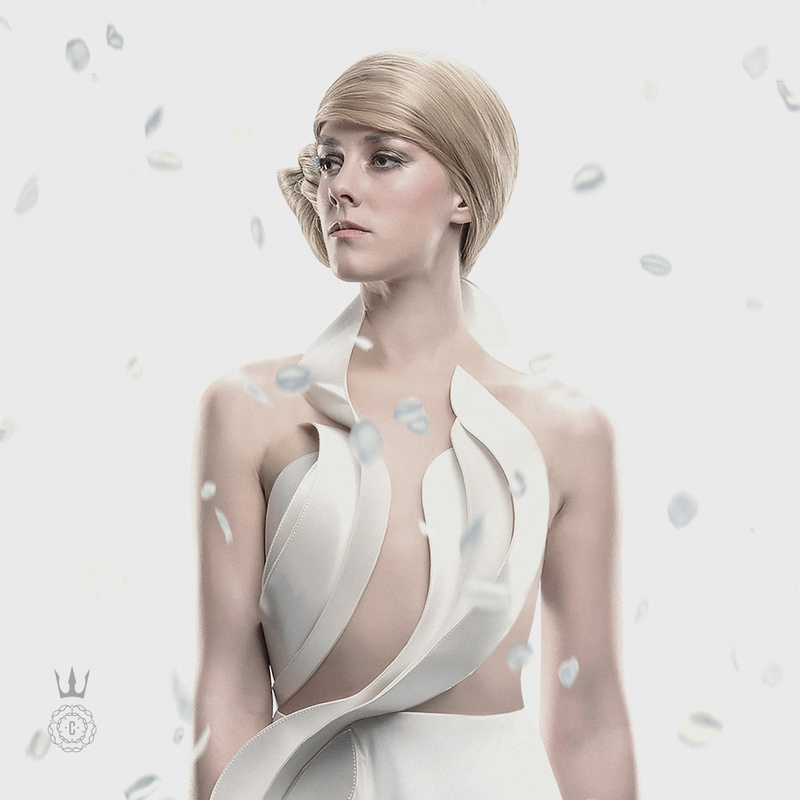 Capitol Couture is proud to commemorate President Snow’s “One Panem” initiative with a special issue focusing on collaborations in art, fashion, and design. Today we celebrate the incredible achievements coming out of the Capitol—the beating heart of Panem. We also have these incredible 'living portraits'. Click to see Peeta and Johanna. As our Quarter Quell victors, Peeta Mellark and Johanna Mason hold the distinct honor of being the first Capitol citizens featured within a Living Portrait. Peeta stands tall and true in his Living Portrait, his matte leather Unconditional ensemble showcasing a stone-like texture and channeling the victor’s quiet strength, completed by shirt and shoes courtesy of Maison Martin Margiela. The paper collar piece, designed by David Mason, mirrors the sculptural elements in Johanna’s dress and gives a stern ambiance to the baker’s son. With an unprecedented two victories under his belt, Peeta is no longer the boy who bravely faced the 74th Hunger Games, but a true Capitol hero. Head over to Capitol Couture for the full experience.